Since 1967, Gladwin Machine has been providing top of the line machine shop services and unparalleled customer satisfaction to private customers and commercial clients from a variety of unique industries. We’re a family owned and operated shop, specializing in CNC turning, stainless steel TIG or Heliarc welding, CNC milling and manual machining. When you have a custom job that requires professional machining and a touch of seasoned quality, choose Gladwin Machine above all other machine shops. We run a full service shop with a various capabilities and have the resources in-house to custom-tailor any job to meet your exact needs and specifications. From TIG and Heliarc welding to CNC machining in Michigan, our talented machinists are backed by nearly 50 years of experience, with the skills to produce top-notch results for you. And, we’re always willing to work closely with you to determine your exact needs: the only thing that equals the quality of our work is the quality of the service we provide. We are a family-owned and –operated local small business. We are a member of the Michigan Chamber of Commerce. We proudly serve Gladwin, MI and the surrounding cities and towns. Our Services Include CNC turning and Milling, Stainless Steel Welding, TIG Welding and more. and the entire state of Michigan! 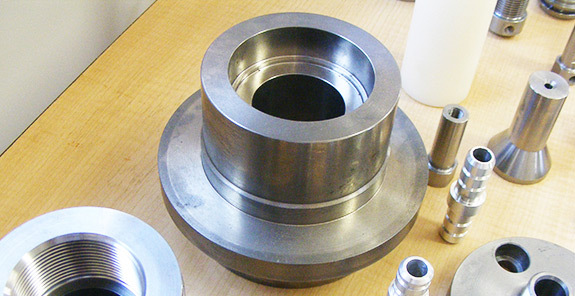 When you’re searching for quality CNC machining, welding and milling, choose Gladwin Machine. Email [email protected] or call for a quote or consultation today!